Cynthia Anglin also affectionately known as "Pat” was born in Jacksonville, FL on February 5, 1957 to Cora L. Shead and Isiah Shead Sr who both preceded her in death. Cynthia started elementary school at Rufus E. Payne and completed high school at William M. Raines Sr. High School where she graduated. Cynthia married Alvin Anglin who is a retired long shoreman and who had served in the Navy and preceded death. As a widow she became a beacon of hope and strength as she continued to carry her life as an independent and to maintain the spirit that was needed to continue in her husband legacy. Her family tree started to branch out when she had her only daughter, Levette Lavern Shead who has preceded her in 2002. 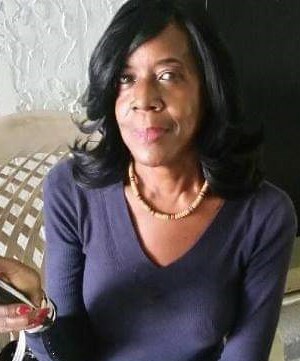 She has three (3) grandchildren Sawanda Shead, Kenisha Shead and Javon Shead who all reside in Jacksonville, FL. Cynthia leaves behind the following family members, Juliette Shead (sister/New York), Angela Banjoko (sister/Atlanta), Tony Shead (brother/Texas), Isaac Shead Jr (known as Ike/deceased), Margaret Best(deceased), Vernell Mobley (deceased), Mozelle Mobley (deceased), Joe Mobley (deceased); and a host of nieces, nephews, friends and family who will truly miss her as she take her resting place and joins the others who are waiting for her arrival in heaven.